Education in the state of Tennessee and Tipton County Schools will exemplify excellence and equity such that all students are equipped with the knowledge and skills to successfully embark upon their chosen path in life. This is our unifying vision: Success for all students upon graduation from high school. Three (3) ambitious goals will guide our work through the next five years. 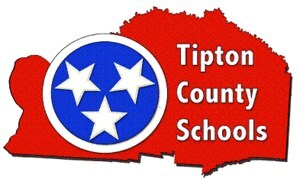 Tipton County students’ achievement will contribute to placing Tennessee in the top half of states on the TN Ready Assessment by 2019. The average ACT composite in Tipton County will be a 21 by 2020. The majority of high school graduates from the class of 2020 will earn a post-secondary certificate, diploma, or degree. Strategy A. Increase district support and monitoring of programs that serve children from birth to age four to ensure a solid foundation for learning. Strategy B. Measure and ensure a shared definition and usable data for kindergarten readiness and third-grade proficiency. Strategy C. Provide high-quality assessments and usable data in early grades. Strategy D. Strengthen reading instruction through quality training options and the expansion of a statewide literacy coach initiative.
. Continued improvements to the reading courses taught in each school. Strategy E. Deepen Literacy instruction requirements within licensure and educator preparation.
. Clarified expectations around high-quality literacy content delivered in educator preparation programs. Strategy A. Expand the number of high school students earning early postsecondary credits and industry certifications and broaden the reach of these programs to include students who lacked these opportunities in the past. Strategy B. Measure and ensure a common definition of postsecondary and workforce readiness. Strategy C. Expand access to and use of personalized information for students, parents, and counselors about progress along the postsecondary trajectory. Strategy D. Expand opportunities and supports for student ACT preparation and test-taking. Strategy A. Improve the quality of interventions and implementation of RTI2 beginning at the elementary-school level. Strategy B. Increase access to high-quality core instruction and aligned, intensive intervention for students with disabilities and English Language Learners (ELs). Strategy C. Expand access to understanding of personalized learning to support the needs of all students. Strategy D. Increase access to highly effective teachers across student subgroups. Strategy E. Increase teacher, school, and district access to resources that meet students’ non-academic needs. Strategy F. Target improvement in all Focus Schools through a mix of interventions. Strategy A. Focus educator preparation providers on outcome measures via program accreditation and the educator preparation program report card. Strategy B. Improve the accuracy of educator evaluation and the quality of the feedback educators receive. Strategy C. Support district development of more effective, personalized professional learning components through tools that allow for better tracking and evaluation of results. Strategy D. Support districts in creating differentiation of teacher roles, responsibilities, and salaries. Strategy E. Create statewide and regional leadership pipelines that produce transformational school leaders.
. Contracting with a temporary services company for substitute outsourcing. Providing districts with the tools and autonomy they need to make the best decisions for students. Strategy A. Increase district- and school-level data transparency and usability. Strategy B. Provide districts with opportunities to strategically plan for effective and efficient use of resources. Strategy C. Simplify access to and usability of state-provided technology platforms and tolls that support and automate district work.
. Platforms for secure information sharing and collaboration statewide. Strategy E. Explore innovative options for the delivery of holistic, industry-leading initiatives designed to help Tennessee educators deliver compelling adaptive instruction.
. Developing an advertising plan for ways to disseminate information about the benefit of shopping local. an additional covered work area at the Covington shop. Strategy I. Expand public access to information and data.